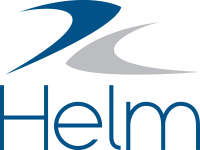 Previously, the History tabs throughout Helm CONNECT Maintenance and Compliance had basic text search tools that looked for your search term across multiple columns. In Version 1.13, we made several changes to improve the layout of these History tabs and introduced two new ways to search for the information you need: broad search and exact search. How do broad and exact search work? Broad search: Looks for your search term anywhere in the text within the column you are searching in. Although it wasn't called broad search at the time, this is how all searching on the History tabs used to work. The only difference is that now—to reduce search times— you have the option of using the new Date Range selectors to narrow the search results. Exact search: Looks for your search term at the beginning of the text within the column you are searching in. Broad search: If you decide to use a broad search to find engine-related items, you would enter the term 'engine' into the Component search field then click Apply Filters. The system would search the entire Component field for items included the term 'engine'. The results would include items such as 'Engine, Port Main' and 'Port Main Engine,' as well as any other items in the Component column that included the term 'engine'. Exact search: If you use an exact search instead for the term 'engine' in the Component column, this time your results would still include 'Engine, Port Main' because it starts with 'engine', but they wouldn't include 'Port Main Engine' because 'engine' isn't at the beginning of the text found in the Component column. You can combine text and filters in your search. If you have a lot of data, this can help you find exactly what you are looking for very quickly. You can use more than one text search term within a text search field. Again, this gives you much finer control over the items that will be displayed. The text search fields and filters will differ depending on which History tab you're looking at. You still need to click the Apply Filters button for both text and filter searches.